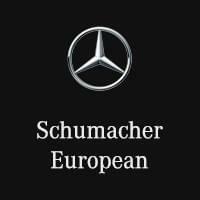 When you are searching for genuine Mercedes-Benz car parts in Phoenix look no further than the Schumacher European auto parts department. We can get your new Mercedes-Benz car, or used car, in tip-top shape with top-quality OEM parts and accessories. You can order your auto parts using our convenient online parts order form. Once your Mercedes-Benz parts or accessories arrive, just come in and pick them up at 18530 North Scottsdale Rd. If you need Mercedes-Benz car repair instead of parts, our skilled mechanics will repair your car in our state-of-the-art Mercedes-Benz car repair center. So stop in today, or give us a call. Please use the buttons below to order parts or contact our parts department. We can be reached by phone at (844) 391-9798.